Can we even talk about one of the best sunrises we got to witness this past year? 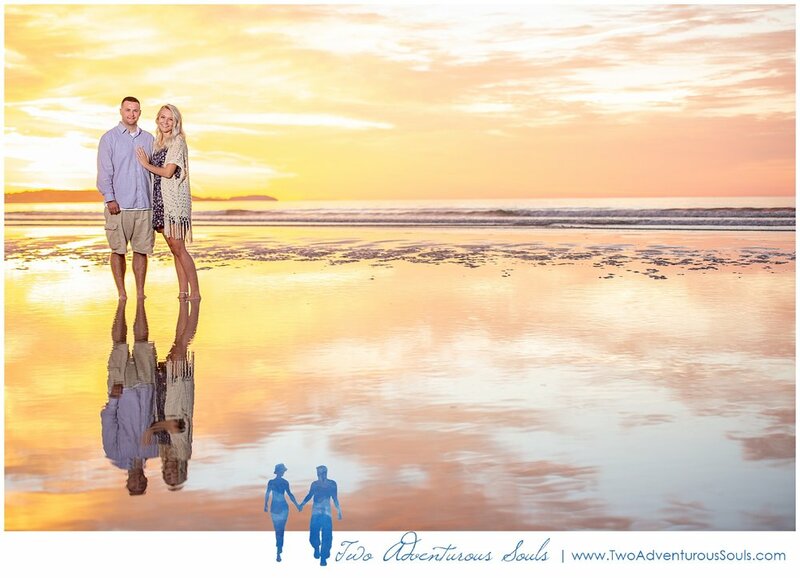 Now, we love a good surprise proposal, but a proposal at sunrise? Yes please! It poses a bit of a technical challenge to photograph the gorgeous skies AND the moment without spoiling the surprise. In this case we organized a portrait session as our cover! In order to showcase that beautiful sky we had to light the couple, plus, you’ll want to be wearing more than pj’s in the session! Getting outside for sunrise in the summer here is a 5:30am event! The best way to still be sneaky AND look your best in the images is to pass it off as a sunrise portrait session. 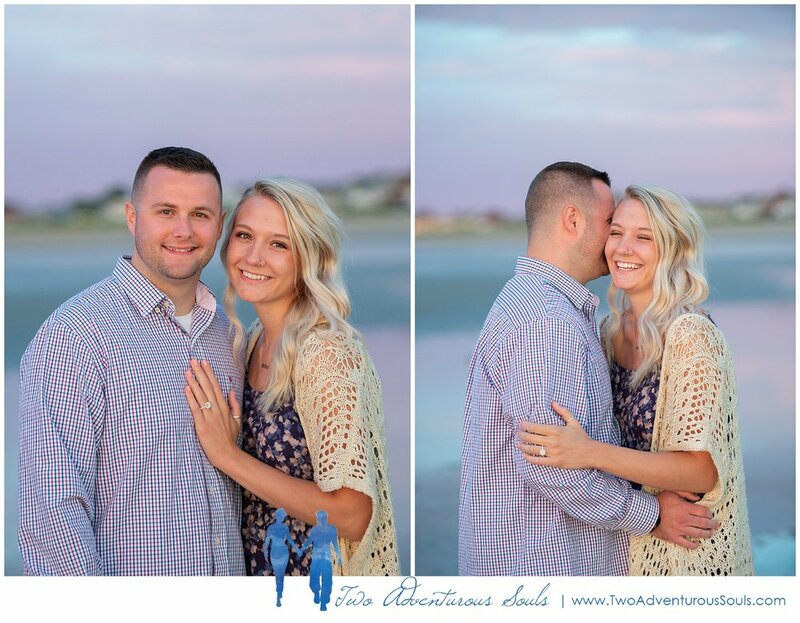 After the initial shock wears off and the happy tears have been shed, we always take the couple for additional portraits and make it into a mini-engagement session as well. The smiles are never more genuine than they are right after the surprise proposal! But seriously, we only get up for a few sunrise sessions a year and so far they’ve all been pretty amazing! Brittany and Dean are creative Surprise Proposal photographers who loving having fun with our couples. We work together and separately to capture every emotion and angle on your wedding day. 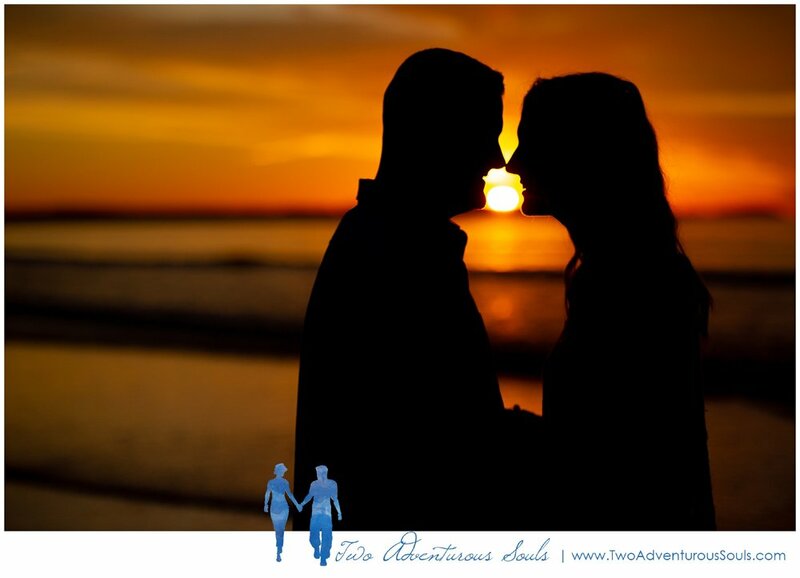 Two Adventurous Souls storytelling style will capture your surprise proposal both in candid and naturally posed images. Whether you're planning a Maine Wedding, New England Wedding, Costa Rica Wedding or anywhere in New England we will be there for you! For more info please contact us about your wedding photography!